On our way out to Moab a few weeks back, Cindy and I decided to take some side routes and do some exploring along the way. Unfortunately, about half way up a long steep grade, we started to experience problems with our engine and transmission and it was all we could do get back to pavement, let alone to the nearest town. Being that we’ve been a Premier Member of AAA Road Side Assistance for well over 10 years, we decided to give them a call and just have Moby towed home. Certainly, it would be a lot faster and easier and our membership allows for the first 200 miles free of charge. When I made the call to AAA, I explained to them what I was driving and that I would need a flat bed truck. 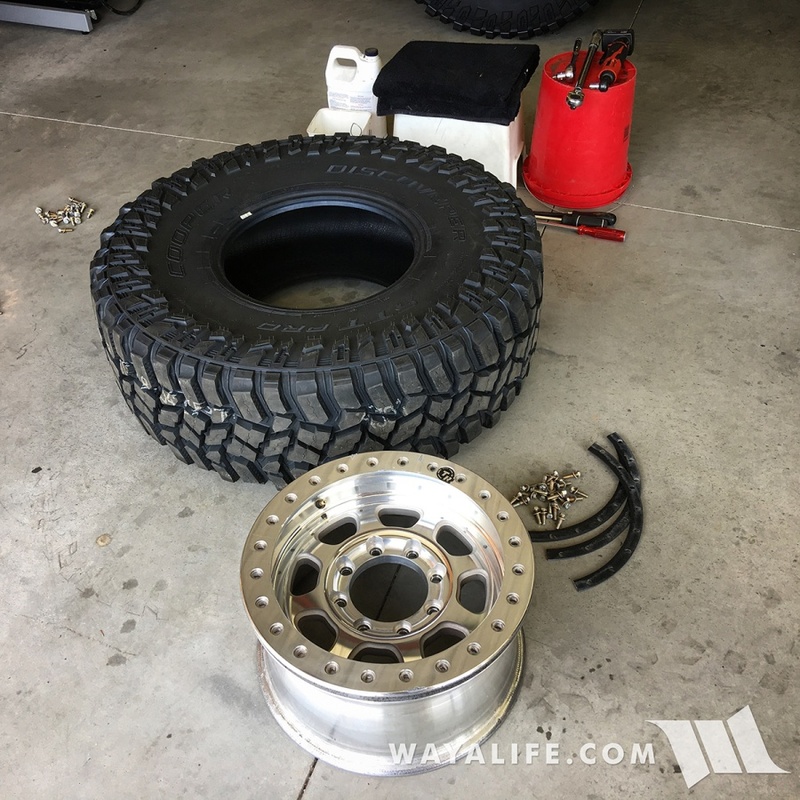 I will say that I was quite surprised that a truck came out within 15 minutes but I was disappointed to see it was a standard wheel lift as opposed to a flat bed as I had requested. 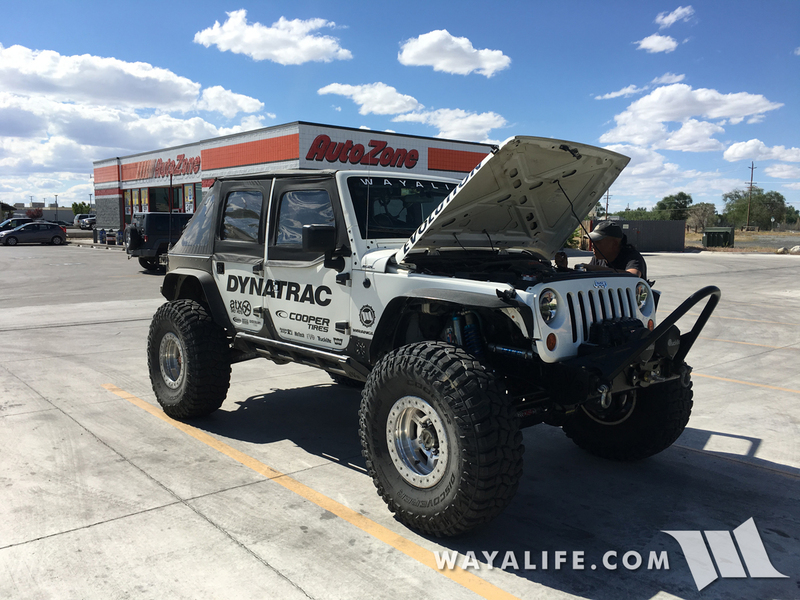 When the driver asked where we needed to go, I explained to him that we wanted to have our Jeep taken to our home in Carson City and that was about 70 miles away. Initially, he didn’t seem to think it’d be a problem to just use his truck to do the job but then I let him know that I had specifically requested a flat bed. To this, he became irritable and started to berate me for having such a big Jeep and that I should know that the terms and conditions of AAA Road Side Assistance doesn’t allow for the towing of such a vehicle. Surprised, I let him know that we’ve used AAA multiple times in the past to tow Jeeps just like this and without any problems and that’s when he demanded where this occurred. When I said that I’ve used AAA for towing in Blanding, UT and Lone Pine, CA, he snapped back at me and said he was going to report them! He said they aren’t supposed to tow vehicles like ours and then he got on his phone to tell the garage he came from what was going on. With me standing in front of him, he bitched and moaned about our Jeep and how AAA needs to explain to guys like me what is and isn’t allowed. After the driver ended his call, he let me know that he does have a flat bed truck and that if I really wanted, he could get it and tow us home but that he would have to do it commercially and that would cost about $600-$700! Upon hearing this, Cindy and I laughed, told him we’d pass and spend the rest of the night hobbling back home. Because we were able to get Moby home and were still able to get out to Moab and have a great time, I had totally forgotten about this stupid experience. However, a week ago, I got an email survey from AAA asking how my experience was using their service back on May 13th. Needless to say, I used the opportunity to let them know. While I didn’t expect anyone there to really care or do anything about what happened to us, I figured that maybe someone on their end might want to know. Well, much to my surprise, I got the following response from a Mary Whitehead. Thank you for taking the time to let us know of your recent service experience on May 13, 2017, with AAA. Your feedback is valuable to our organization in order for us to improve our service to members. 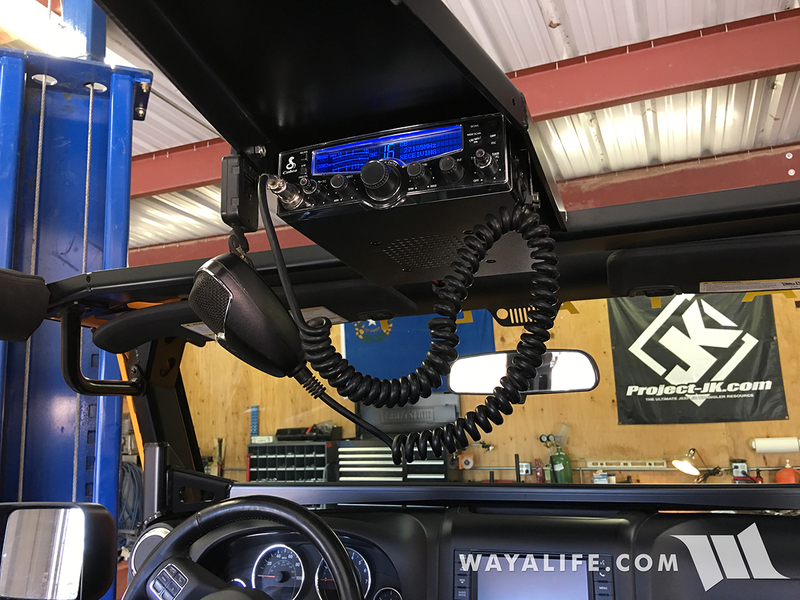 On the report sent to our department, I noted your concerns with service not provided for your 2013 Jeep Wrangler because it was modified. Please accept my sincere apologies for any inconvenience this may have caused you. As per our Membership Terms and Conditions, four-wheeled motor-driven vehicles of the passenger, pleasure, or recreational type are eligible for all road services, provided they are not loaded, altered, or constructed in such way as to make servicing the vehicle hazardous. ERS services are conditioned upon a AAA roadside technician assessing that the applicable services can be performed legally and safely, with ordinary servicing equipment, which may include a sling and/or wheel lift devices, car carries and/or dollies. Should you have further questions or concerns, please visit our website at www.aaa.com for further details on the Membership Terms and Conditions. In other words, sorry that we left you stranded along the side of the road in spite of the fact that you’ve paid for our services for well over 10 years but our driver determined he couldn’t help you out unless you paid him $600-$700. Please refer back to Member Terms and Conditions to explain why you got screwed. This is the response I just sent her but I doubt I she or anyone over at AAA is going to respond. I would like to reiterate that I have used AAA to have my vehicle towed in the past and without any problems. If I were just having it towed to a gas station down the street, a sling or wheel lift device would have sufficed to do the job. The problem is that I wanted my vehicle to be towed home which was 70 miles away and this would be hard on the type of transfer case it has. This is why I had requested a flatbed truck, something the tow truck driver said he could get but would need to charge me $600-$700 for its use. Being able to tow my vehicle safely was never an issue or at least, not one that was brought to my attention. If it were, I would assume your driver would have just said as much and not offered to assist me at a $600 premium. I must say that I’m quite unsatisfied with your response and you’ve left me wondering why I should continue paying for your services. I have to say that I really am quite disappointed with AAA. Not only do I insure all 8 vehicles I own with them, I have paid for their roadside assistance for well over 10 years and have recommended their services to every Jeeper I know. Now that I know they’ll leave you stranded on the side of a road if their technician determines “applicable services can’t be performed legally and safely, with ordinary servicing equipment, which may include a sling and/or wheel lift devices, car carries and/or dollies”, I no longer have a need for their services. Certainly, it would have been cheaper to just pay the $600-$700 than to have paid what I have over the last 10+ years. For all the years that I’ve had AAA, I’ve never had an issue with them towing (at the time) my 97 lifted Chevy 1500, 2004 lifted f250, 89 slammed Mazda truck (my mini days). Now I’m worried if I will get stranded with my wife and dogs in our JK in the middle of no where at night, if AAA will get us home safe. Did they reply back to your e-mail? AAA did get back to me and just to say that they stand by their driver. He told them it was “unsafe” to tow my Jeep and they threw their policy at me. I reminded them that he never said anything about “safety” to me and even offered to tow me if I paid $600-$700. Unfortunately, they weren’t interested and so I cancelled my membership with AAA and moved the 7 Jeeps I own to GEICO.